For the record, my name is Gerry Apple. 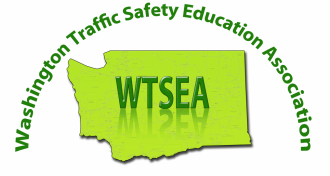 I teach several Traffic Safety Education programs for ESD #113. I oppose this bill for reasons already stated. One reason that I cannot support this bill is because it is an unfunded mandate. HB 1481 assigns oversight of public school TSE programs to DOL while, also retaining and increasing OSPI’s administrative role. But there is no funding in the fiscal note to support OSPI’s mission. OSPI’s role is significant and important, as it should be. However, the words are meaningless with no staff at OSPI to carry out the mandated functions. Requesting 4.7 FTES for DOL to take on the auditing of public school TSE programs, and zero for OSPI is unacceptable. There is an imbalance there. If you create a mandate, you need to fund it. If McCleary is the reason you say you “can’t,” we do not accept that logic. Because, obviously there is money coming from somewhere. This is really about will. If the will is there, a path will be found. We understand the inertia is against this. You do not want TSE taking dollars from basic ed. OK. Then fund it from traffic tickets, the way it used to be. What a concept! A violator pays a ticket, and that money is used to help educate a new driver, making the roads safer for all of us. I challenge you to come up with any better use of such dedicated funds. There are two fallacies behind the thinking that TSE at OSPI is not worthy of funding. Everyone on this committee is aware that the number one health problem facing young people is a traffic collision, (not “accident,” mind you). I’ve been to too many funerals of former students. They did not die because they did not receive a basic education. Or because they couldn’t solve equations, or write a complete sentence, or explain the causes of the Civil War. They died in a car crash, because they did not learn to drive properly. How many of the statistics you quoted the this bill’s purpose statement were “students” who did not take driver education because there was no access, or it was too expensive, because it was not available in a public school? How do you justify all the money we spend on basic ed when students die before or just after graduation due to a car crash? Fund one or two staff members at OSPI and the rest of this bill is unnecessary. You’ll have quality and oversight restored over public TSE programs, the way it was before funding was cut in 2001. Why is that not possible?